In March of 2018, I hired on to run the education department at the Yellowstone Wildlife Sanctuary. In November, I became the Executive Director. It’s a wonderful organization, and I’m pleased to be working there and proud to be leading the Sanctuary forward. I’m still teaching some game classes and tea classes at the tea shop, but my daughter, Gwen, is handling the day-to-day management. I can’t quite escape from the tech side, though, so in my spare time I’m developing a custom point of sale/inventory management system for the shop. Some of the most popular pages on this website have been my blog posts filled with book signing tips. I have collected them together, extended them with new content, and added tips and stories from dozens of other authors. The result is my new book for writers: Gary’s Guide to Successful Book Signings, with almost 200 pages of help in making the your book events the best they can be. Readers can purchase them from their favorite local bookstore or online (it’s available in paperbook and Kindle format), and bookstores can get it through standard distribution channels or direct from the publisher. If you’d like some background on this book and some of my book signing experiences with Who Pooped and other books, check out my interview on The Successful Author Podcast with Julie Anne Eason. The Who Pooped series has hit a huge poop milestone: over half a million copies sold! Who Pooped in the Park is also coming to eBook readers! The first eBooks in the series are an Apple iBook edition and a Kindle edition of Who Pooped in the Cascades?, available right now! The first book trailer for the Who Pooped series is out. It’s for the Yellowstone edition, and you can view it below or watch it on YouTube. Hint: if you subscribe to my channel, you’ll see future trailers when they come out! 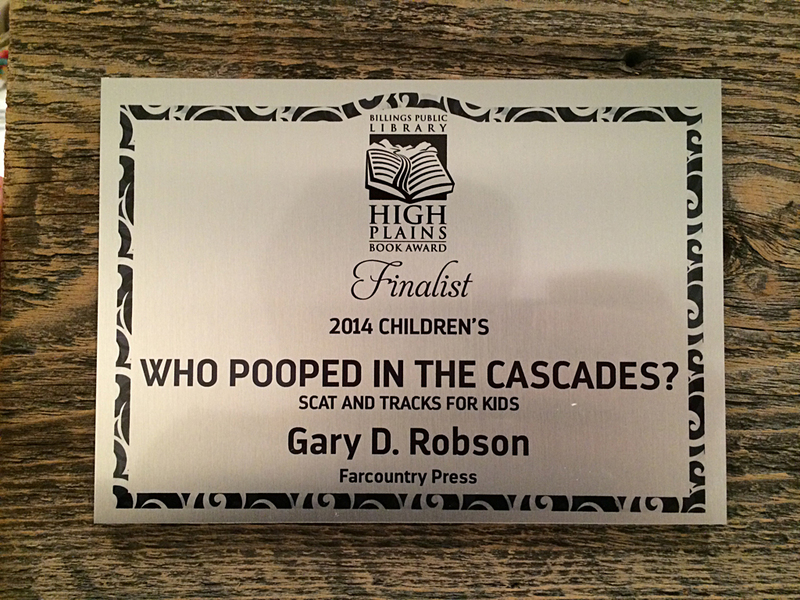 Who Pooped in the Cascades took two honors that I’m very proud of: it is a High Plains Book Awards finalist in their new Children’s book category and a silver medal winner in the Moonbeam Children’s Book Awards in the nonfiction/animals category. I really don’t have any connections in the game development world. It’s something I’d like to explore sometime, but I never have. Do be careful of trademarks and copyrights (e.g., don’t use hobbits). In every field I’ve worked in, I’ve found professional associations that have been of great help to me. I am or have been a member of associations for authors, booksellers, business owners, closed captioners, engineers, and others. I’m sure there’s one for game developers out there. I’d start by hunting for one. Good luck! I have done quite a few classroom talks, but I’ve never been asked to do one over Skype. I don’t see why not, though. I think that you should advertise a little bit. That may be a good way to start. Also, some schools aren’t allowed to go on those types of websites just because it gives kids access to Skype with their friends. By the way, I’m a big fan of Who Pooped In The Park! Thank you, Art! At this point, I don’t want to advertise virtual classroom visits because I have too many other balls in the air, but I just might do it when things calm down a little bit.